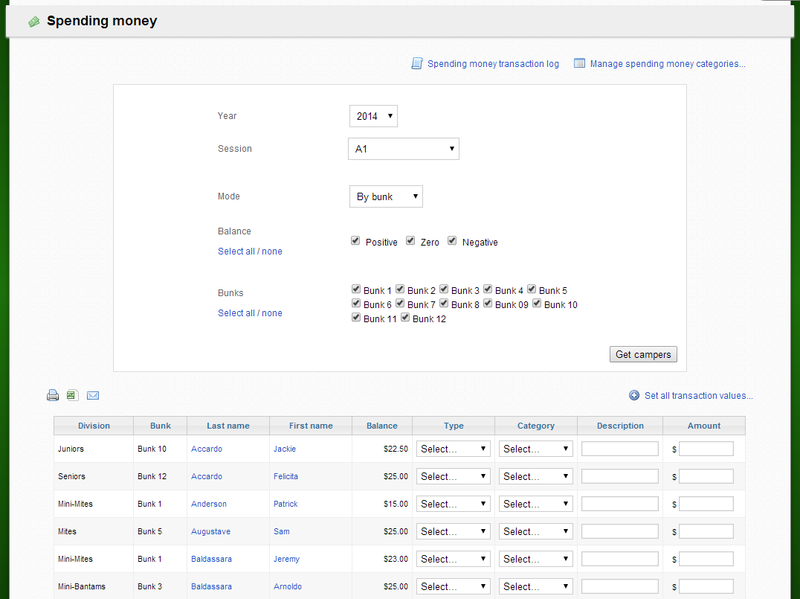 Individual batch transactions can be added using batch transactions on the spending Money Landing Page. 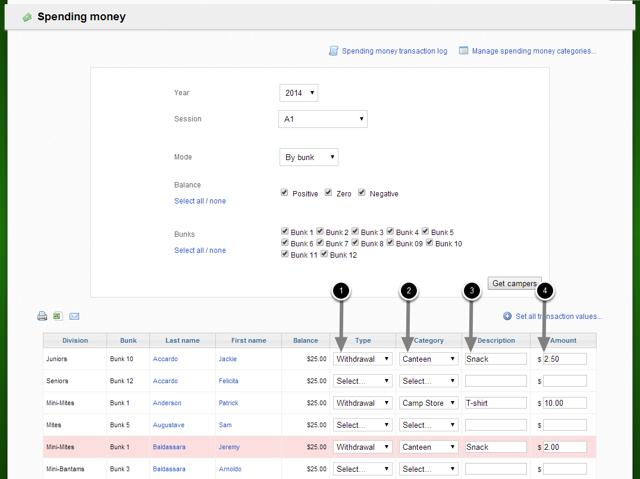 Enter transaction information for each camper you would like to post a transaction for. Balance has been updated to reflect the transactions.